King’s Manassa Turquoise Cluster Ring handmade by Robert and Bernice Leekya from the Zuni Pueblo. 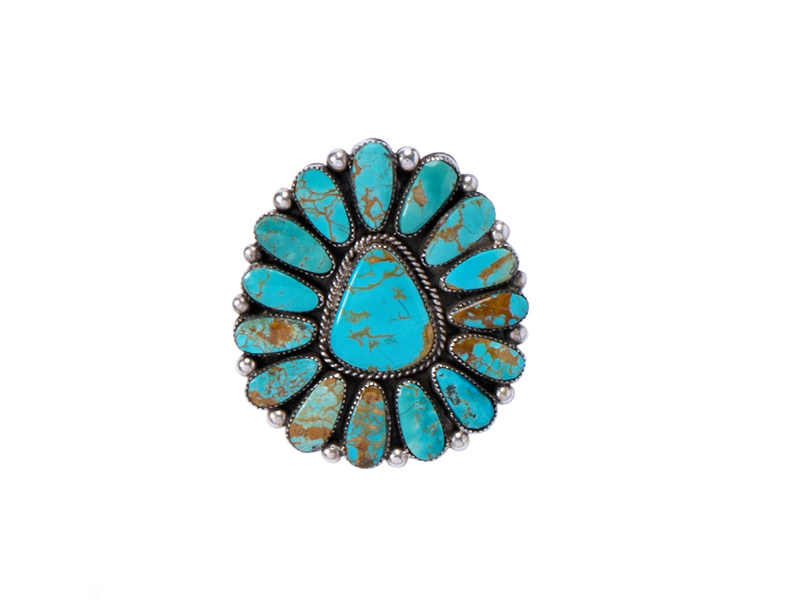 This stunning ring features remarkable pieces of King’s Manassa turquoise set in sterling silver. The cluster measures 3″ inches around and is a size 12.5 but can be sized on request for an additional charge. The King’s Manassa turquoise mine, or more accurately the “King Turquoise Mine”, is located near Manassa, Colorado. 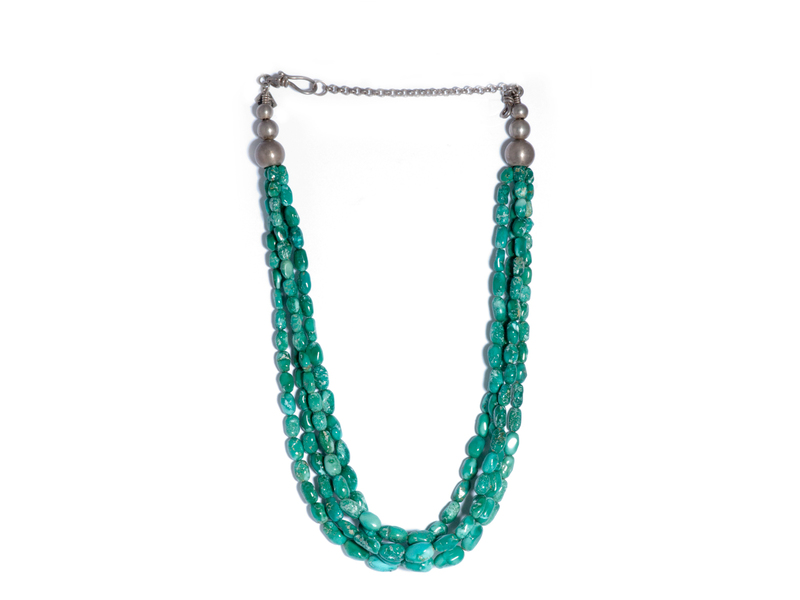 It is one of the many turquoise deposits which was actively mined by Native Americans for centuries. I.P. King rediscovered the mine in 1890, and the King family has operated it ever since. It was originally called the Lick Skillet Mine. Robert and Bernice Leekya have been making traditional jewelry at Zuni Pueblo for five decades. Characterized by hand-cut stones, their work consists of bracelets, bolo ties, belt buckles and more. 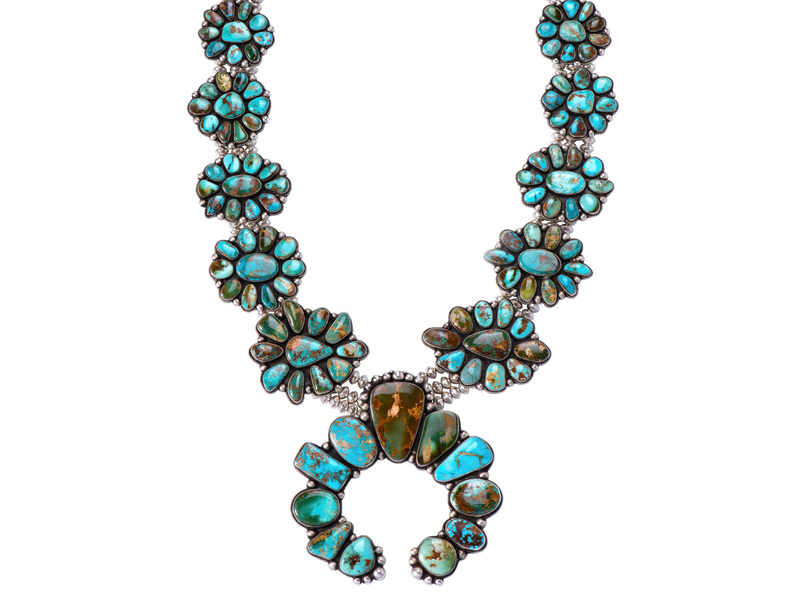 Robert Leekya’s jewelry is always adorned with natural, gem quality turquoise and this bolo tie is no exception. 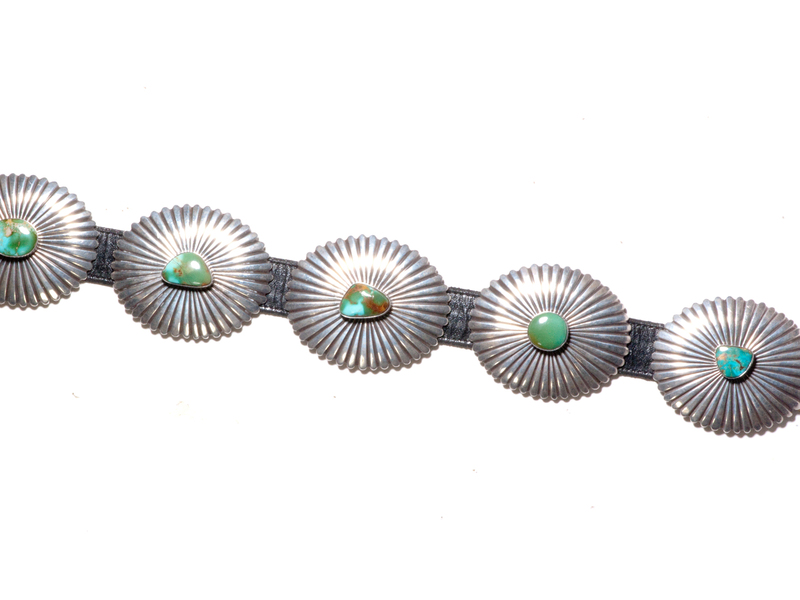 Born in 1934, Robert was taught by his father, a master Zuni jeweler Leekya Deyuse. He is often just referred to as Leekya. Born in 1889, he remained active in his craft until his passing in 1966. What a piece of Native American history. Now advanced in years, their production has dwindled to a mere trickle.